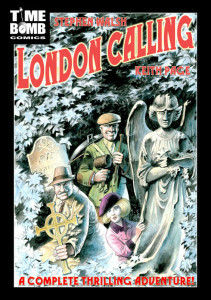 London Calling places a confused Charlotte in 1950s London in which not everything is quite as it should be. During World War Two, the French experimented with giving their troops vampire blood to try to make them impervious to bombs and bullets but post-war this backfired with an outbreak of vampirism in the country. 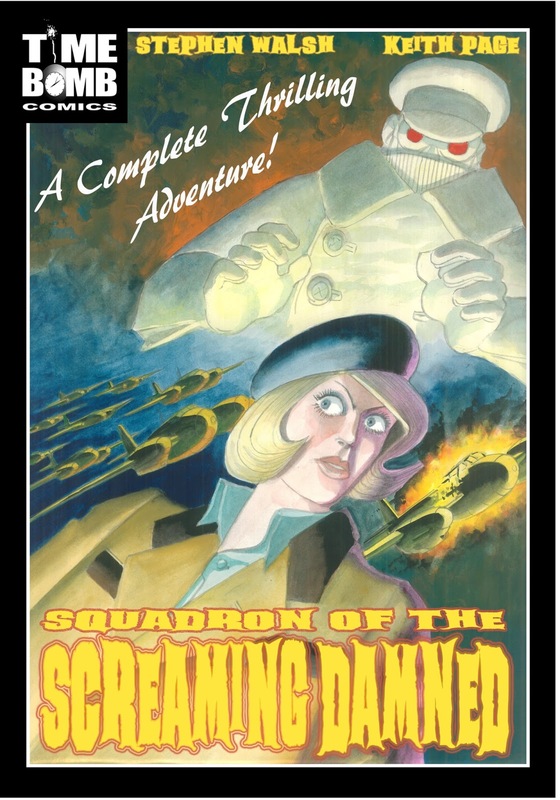 To prevent the vampires taking over Paris the city was taken out of time using captured Nazi technology and now, as it tries to return, it is causing ripples in the fabric of time that are affecting Charlotte Corday in her undercover mission in London. There, befriended by a charming vampire called Luca and while looking for another French agent, she gets caught up in a raid on a vampire club by the Metropolitan Police’s V-Squad and is arrested suspected of being a vampire herself. The whole plot is book ended by a different Charlotte recovering her children from a flooded London and telling them the story of the book to pass the time. 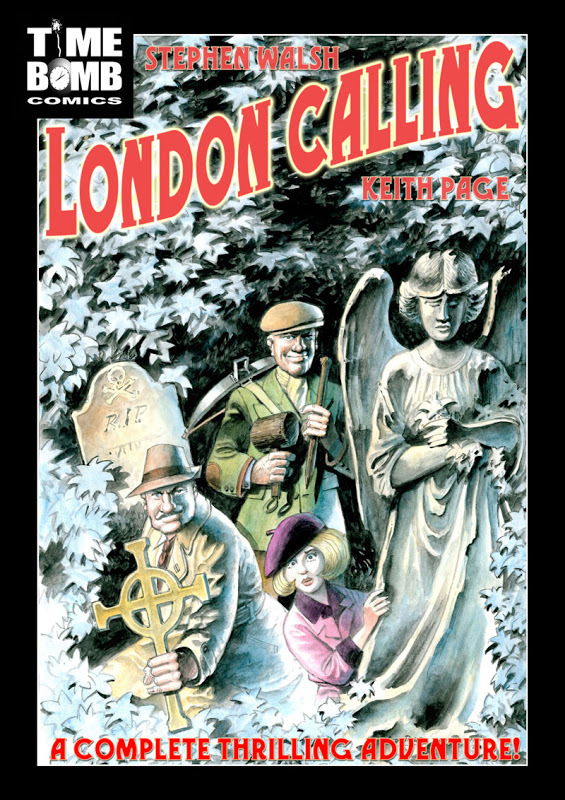 The follow up to London Calling. Charlotte Corday is back as the mysterious secret agent whose missions are so top secret even she doesn’t know what they are and opens with a Word War Two German U-boat surfacing in Charlotte’s bathtub, as Page and Walsh give us another fabulous dose of the weird and wonderful that made London Calling such a hit. 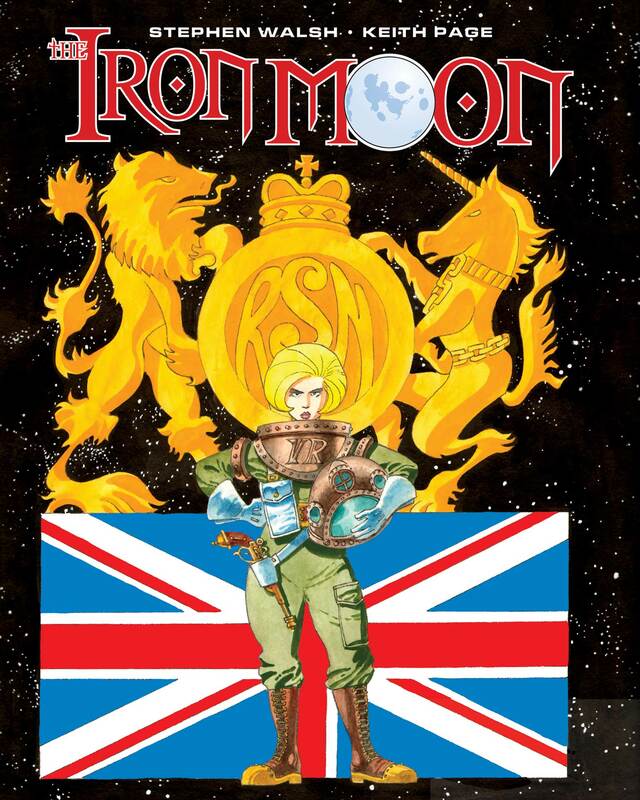 Described as ‘Rorke’s Drift in Space’, The Iron Moon is a fast-paced steampunk-inspired adventure starring no-nonsense adventuress Charlotte Corday and is now available worldwide for iPad from the Apple iTunes store. Take lieutenant Charlotte Corday, for instance. Born in what used to be known as France, she has risen to prominence through the ranks of the Royal Space Navy and now finds herself up to her neck in her greatest escapade yet. 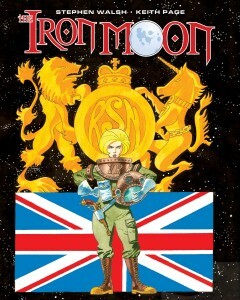 Watch as she travels to the mysterious Iron Moon! 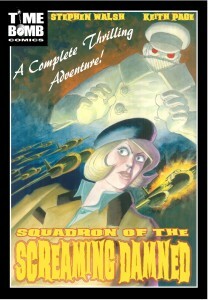 Marvel as she grapples with a conspiracy that may see the galaxy plunged into war! Goggle as she meets new and strange races, both mechanical and biological! Ponder how she manages to put away so many cups of tea! And prepare to have your brain scrambled as she scoops us up and carries us to the very limits of this universe… and into the next! In which Charlotte plays two roles in the true stories of Spring Heel’d Jack and Alice in Wonderland. And how Charles Dickens was involved in the construction of the first Tube line. 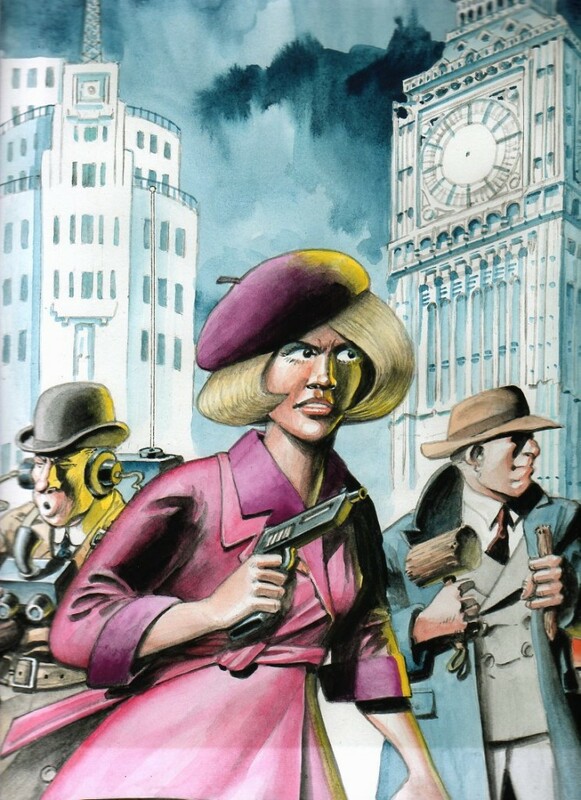 In which Charlotte appears somewhat bewildered in the 1970’s. The usual sort of thing, including a secret government plot, a huge floating city and the Great God Fantog. Plunger’s last case is a pretty spectacular one. And what next? Well, we have ideas for Charlotte ‘s visit to Mars in a Dan Dare style colour story. And a Charlotte Corday Handbook/ Annual….